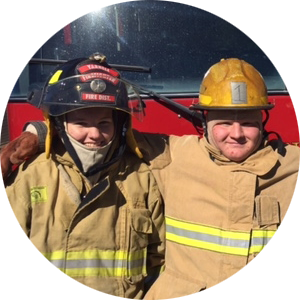 Yarnell, AZ November 19, 2018: In 2014, Yarnell Fire District had a vision to begin the YFD Explorers Cadet Program, designed to provide opportunities for youth grades 6 through age 18, to learn firefighting skills, related physical disciplines and first response skills. In 2015, that vision became reality. Under the supervision of Chief Ben Palm and many dedicated helpers, the Cadet program began to flourish. Breanna Smith of Yarnell became a devoted Cadet the second year. This week, she joined YFD as an In District Reserve Firefighter. The Yarnell Fire Cadet Program operates under the guidelines of the National Scouting Explorers Learning for Life Organization, Grand Canyon Council. The program has been successfully funded with grants since inception. For more information about the program, please contact Yarnell Fire District at 928-427-6578. Visit www.yarnellfire.org.